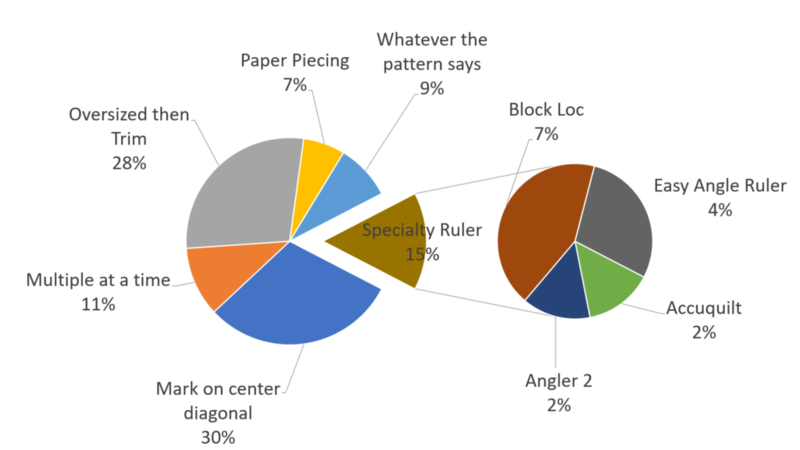 Join us for a detailed discussion of the many ways to make half square triangles (including some charts with results from our earlier poll!) and the basics of making fabric postcards. The quilt hanging behind us is the baby size version of our Emilio quilt pattern. Get the digital pattern at our shop and make your own version! You would use this type of rubber stamp to make the postcard back. I’m always late to these and usually listen to the podcast! Today I’m pressing squares to make a bunch of Tanabata blocks and watching your shows. I’m quite proud that I actually put a pattern for half-square triangles in Craftsy.com. Pam: Can you share your standard ‘mix and match’ scrap sizes you cut all your scraps to mentioned in one of the podcast? I like the idea of being able to put them together in a variety of combinations but am no so great with quilt math.